The Emperor stated today that he is “definitely not” using slaves to assist the building of his new Winter Palace. 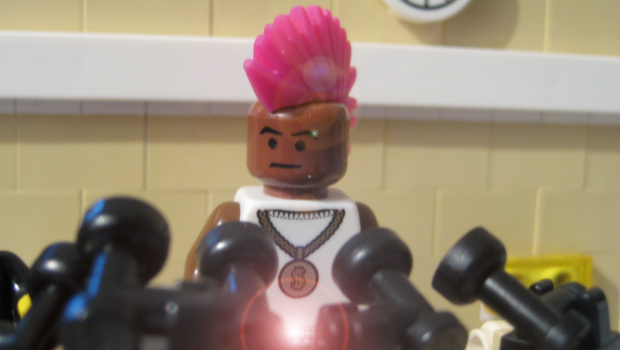 Emperor David speaking in an state of emergency address to the nation on Legoland television claimed that accusations that he ordered slaves to be used to speed up the construction of his palace were “not even close to the truth”. Emperor David said that he has no intention of allowing slavery to be legalised however he stated that he is of this position not because of Playmobil’s threat of military action against the Legoland Republic but because “slavery is too expensive to manage properly”. In his address, the Emperor hit out at President Bouwers of Playmobil saying that the Playmobilian leader “should look after his own business and stop acting as the World’s cop”. In other developments, the Ministry of Information stated that the Republic has no intentions of enhancing its military might in the face of possible attack from Playmobil. The Ministry claimed that Bouwers-led Playmobil have “yet to develop the wheel, never mind a tank”. 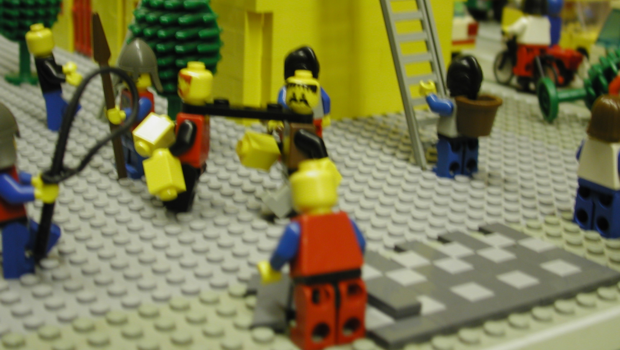 However they announced that a “huge spontaneous rally” of “angry Legomen” is expected in the city centre over the weekend as citizens of the Republic want to tell Playmobil to “stay away”.